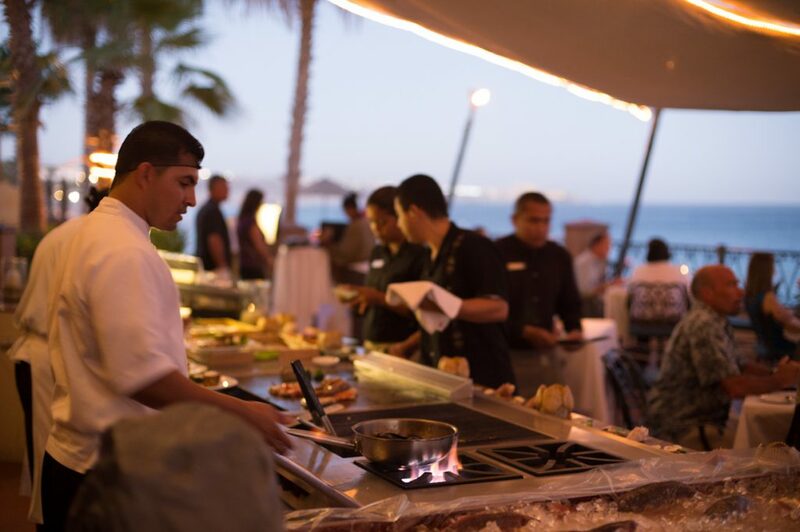 The winter season is one of the best times for members and guests of Villa del Palmar and Villa del Arco Los Cabos. 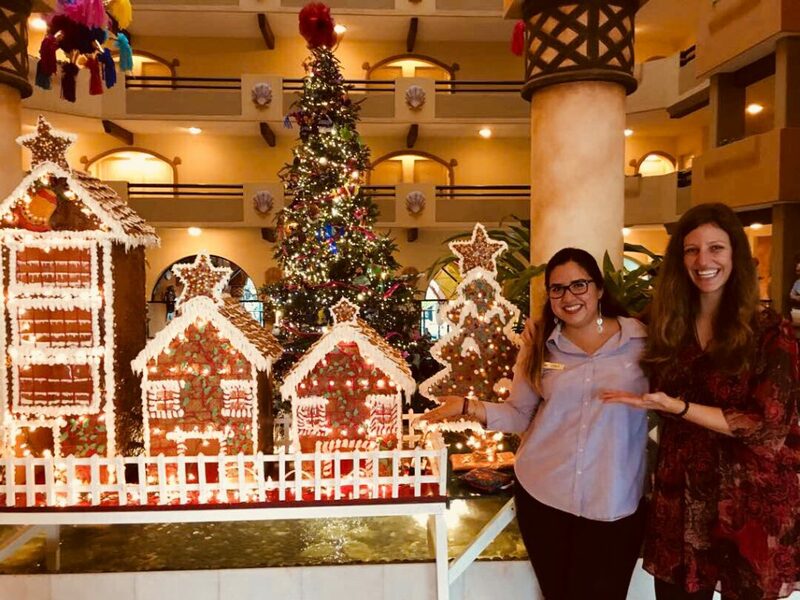 Not only has it been the perfect time to visit the popular tourist destination, but our family-friendly resorts have entertaining holiday celebrations that are sure to delight all ages. The holidays are held in the highest esteem by the management and staff and our dedicated team is ready to embrace the holiday spirit with you and create memories that will last a lifetime. 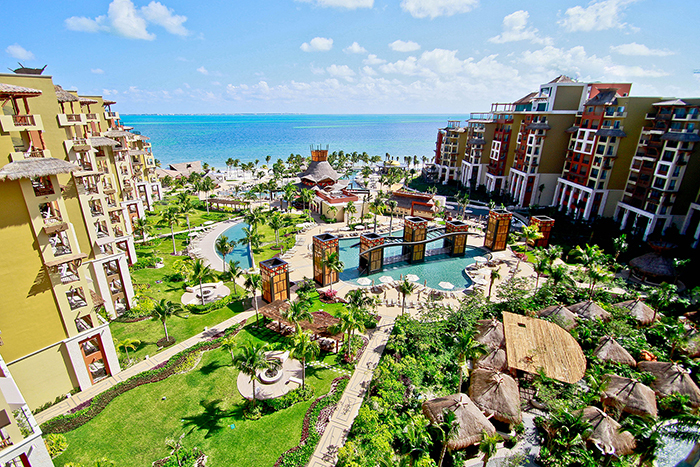 All departments of the resort (Rooms, Guest Services, Restaurants, Kids Club, Recreation, etc.) are developing programs for different activities throughout the winter season. An agenda full of activities for all ages is being prepared to ensure that you have the most memorable holiday experience possible during your next December vacation at Villa Group Los Cabos. Please see your concierge upon arrival for the most current activity schedule. 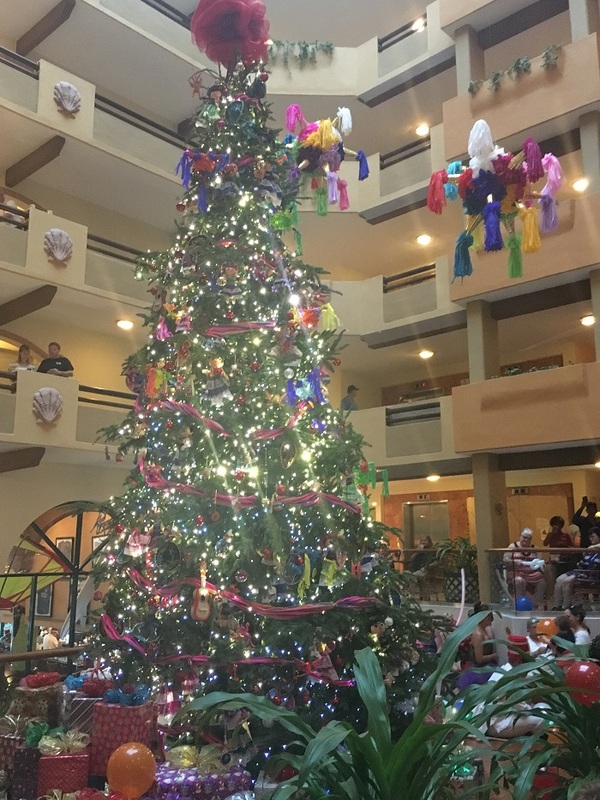 Join us in the lobby at Villa del Palmar Cabo on Monday, December 3rd at 5:45 pm for our Annual Lighting of the Christmas Tree celebration. There will be festive decorations, a live performance by our Activities team, and hot cocoa and refreshments for all. Watch the ambience of the lobby transform as the lights officially signal the beginning of the winter holiday season. Santa Claus and his elves will arrive on Christmas day by the beach at 11:00 am. After arrival, Santa and his elves will walk through the resort and lead all of the children into the lobby for a special holiday ceremony. There will be photo opportunities and candy given to all attendees. 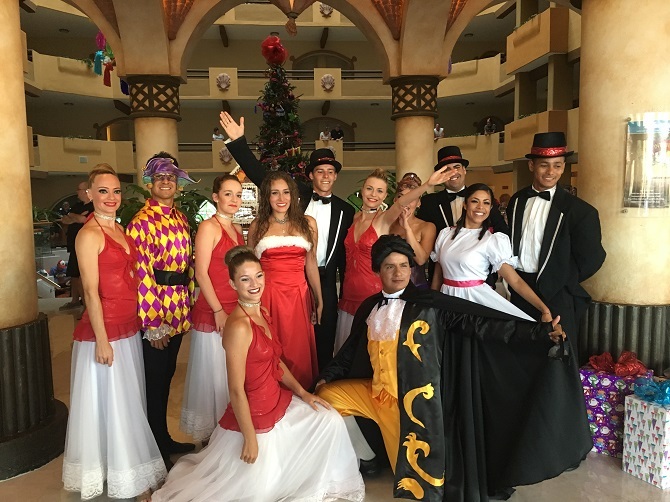 At 6 pm on Christmas day, there will be a Christmas Theme Night at Tortugas Terrace with a traditional Christmas meal buffet and a holiday performance followed by our musical Grease show. On New Year’s Eve, Villa Group Los Cabos will host a Masquerade party. This event will begin at 6:45 pm by the pool at Villa del Palmar Cabo and will include live music, performance groups, dancing, a raffle and a New Year’s countdown. Ring in the New Year in paradise as you overlook the beautiful Medano Beach and make a toast to your New Year resolutions. Additionally, gourmet buffets and seasonal meals will be served at many of the delicious restaurants that call Villa del Palmar and Villa del Arco their home throughout December and January. 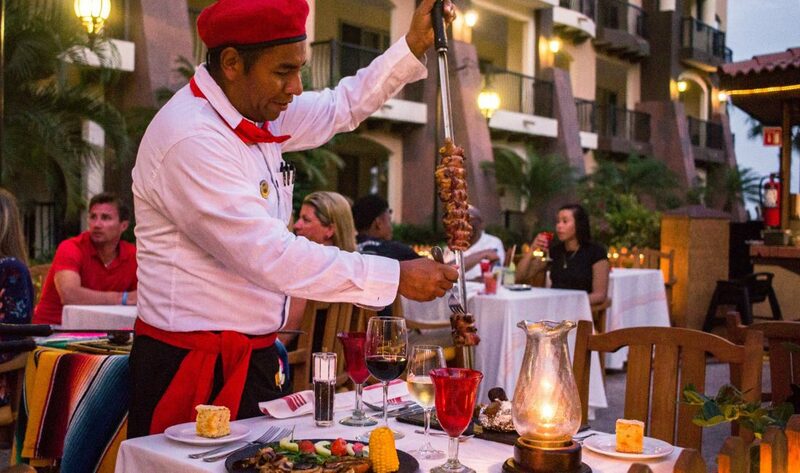 Enjoy traditional holiday favorites such as ham and mashed potatoes or Mexican favorites such as enchiladas or molcajetes to celebrate your special occasion in paradise. 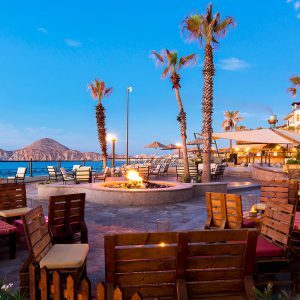 Spending the winter holidays at Villa del Palmar and Villa del Arco in stunning Los Cabos is a way to make each of the holidays even more memorable. Give your friends and family the gift of travel this year and make this holiday season the best one yet. We look forward to celebrating the upcoming holiday season with you and your loved ones.